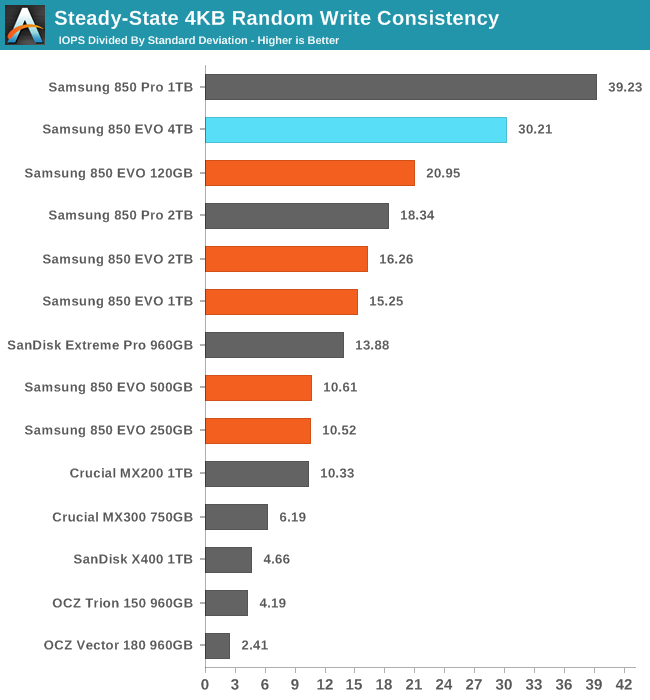 The 4TB 850 EVO restores a little bit of the performance that the 2TB lost relative to the 1TB, but Samsung's controller architecture is still clearly most comfortable at 1TB. 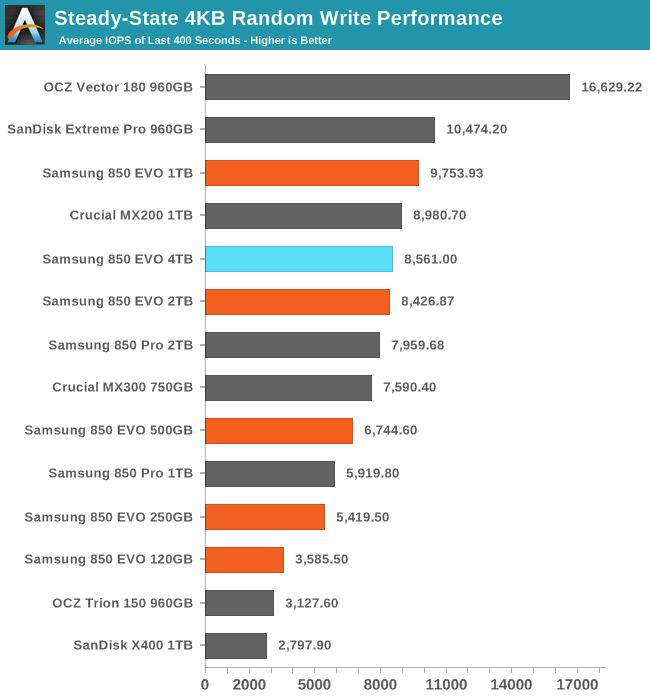 The consistency of the 2TB 850 EVO was only slightly better than the 1TB EVO, so it's surprising to see the 4TB model make such a large jump and come so close to the 1TB 850 Pro. It is no surprise that a 4TB drive lasts so long before dropping out of peak performance: it has far more spare area to burn through than any ordinary consumer SATA SSD. 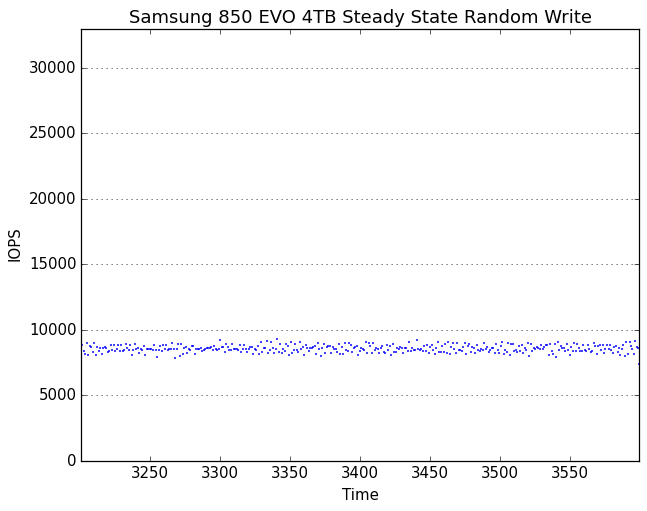 The transition to steady state is uncharacteristically long and messy for a Samsung drive, and the performance lows during this period are disappointing. Once the drive has reached steady state, there's nothing to complain about. 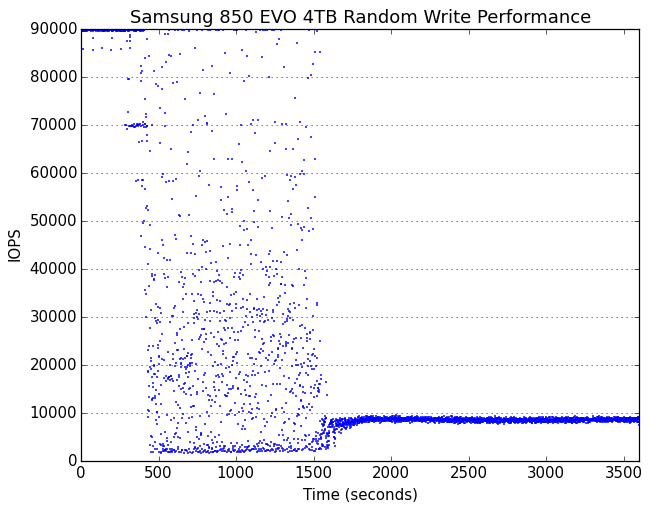 There are no wild outliers from the 4TB 850 EVO's steady-state, and none of the longer-term drift in performance shown by the 1TB and 2TB 850 EVO and Pro models. With extra overprovisioning, the 4TB EVO carries on indefinitely with high and extremely steady performance.